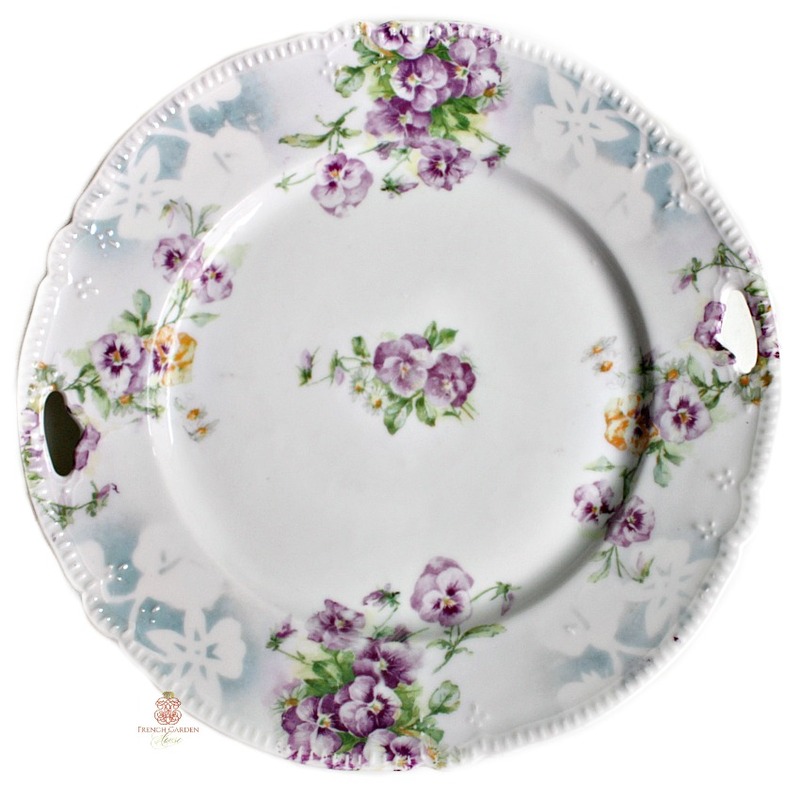 Perfect for those of you who love Pansies, this collectible Victorian Handled Cake Plate, made by Schoenberg, Germany around the turn of the century, is so sweet. On a scalloped pristine White blank, the soft French Blue stenciling really stands out, it's the perfect compliment for the Lavender Purple Pansies, and a little sprinkling of Apricot flowers. The plate has cut out handles, and a lovely embossed pattern. There is a star hairline on the back that does not go all the way through. Please only purchase this if you love antiques with a past and storied to tell, this is not perfect. Wonderful to serve your best home made cake on at tea time, to add to your antique porcelain collection, or a luxury gift for someone who adores Pansies, too. Measures 9~1/4" in diameter.